The boundary delimitation of Pradeshiya Sabhas in the Mannar District discriminated against its populace and the speedy resettlement of the district’s IDPs is the need of the hour. “I believe that the Prime Minister will be able to help the people of Mannar District to resolve this boundary issue,” said Vanni District MP and Minister of Industry and Commerce Rishad Bathiudeen on 8 July in Mannar. Minister Bathiudeen, joined by PM Ranil Wickremesinghe and the Minister of Urban Development, Water Supply and Drainage Rauff Hakeem, was speaking at the launch of the Mannar Water Supply Scheme constructed with the financial support of the Asian Development Bank (ADB). The project launched on 8 July at a cost of Rs. 2.2 billion. “The helpless IDPs in the Mannar District continue to suffer. They lack even basic facilities and they do not have human dignity. Today I plead with visiting Prime Minister Ranil Wickremesinghe to resolve and help end the suffering of IDPs of the Mannar District. I am confident of his support,” said Minister Bathiudeen. 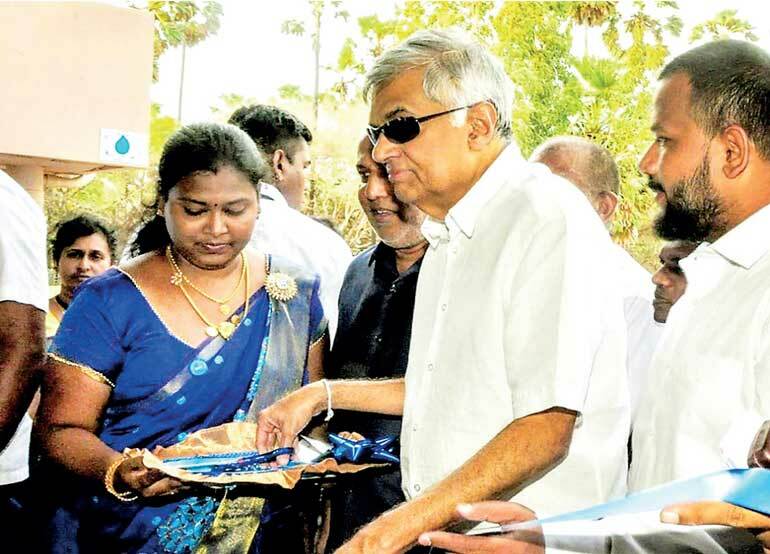 The Mannar Water Supply project brings 24-hour uninterrupted water supply to Mannar. It is implemented by the City Planning and Water Supply Ministry together with the National Water Supply and Drainage Board. The project will provide drinking water to about 60,000 people in the district.